These munchkins are so excited to see you! We did something a little different this year and let the kiddos get their own trees. 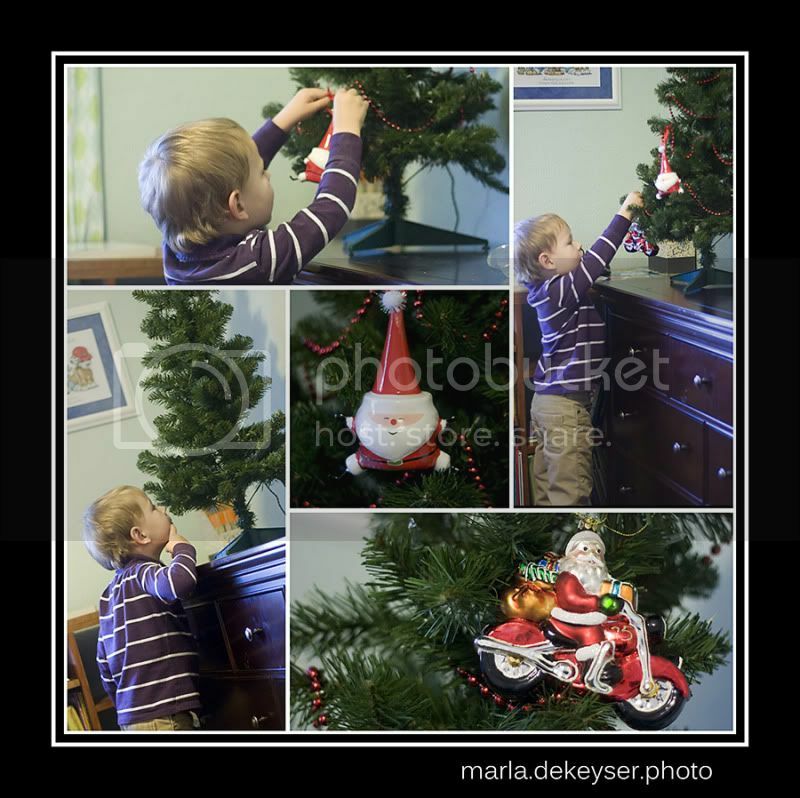 They have loved hanging their own special ornaments and having a tree in their room. My little lady gets upset when the lights are off. She tells me it's broken. My big boy just likes having a motorcycle on his tree . . . even cooler that it has Santa on it! Yes, December - we are so glad to see you around here and are anxiously awaiting the arrival of a certain large man dressed in red on December 24.